Explore the nation's garden in San Joaquin County! California’s Central Valley is often referred to as the “greatest garden in the world” or the “nation’s salad bowl.” It is here that many of our favorite fruits and vegetables are grown, in addition to wine grapes, nuts and dairy. The flat terrain is rich in biodiversity, an ideal place to source food that’s shipped all around the world. But the best way to enjoy these fresh products is closest to the source. Aside from learning more about where your food comes from, Stockton, California's food scene is a cultural exchange of tastes and ideas. Learning more about where food comes from is a great way to learn more about the people in the community. Check out these easily accessible foodie adventures on either your next trip to Stockton or instead of going to the grocery store. There’s simply no substitute for freshly picked fruits and veggies, and what better place to experience this than at one of Stockton’s family-owned farms. Pick your own blueberries at K & S Blueberries or Jessop Farms (also known for its almonds). This is a wonderful, family-friendly activity that will inspire children to know more about food and where it comes from. Check each website for seasonal availability. Oakdale Cheese & Specialties has been making cheese the old-fashioned way for four generations. What started in the Gouda region of Holland is now a local treasure open to the public for special self-guided tours of the farm and facility. Learn more about the artesian process of cheesemaking, meet the cheesemakers and sample unique pairings. For groups larger than 10, call ahead to make a tour reservation. Stockton is home to some of the oldest and most successful farmers’ markets in the region. These outdoor markets have become increasingly popular as people become more familiar with their local agriculture. In addition to fresh produce, visitors can communicate with farmers and local artisans to learn more about their food community. Enjoy the Open-Air Asian and Farmers Market every Saturday all year long. This market is a cultural melting pot of flavors familiar and obscure. Herbs and spices from Cambodia, Laos, Vietnam, Korea and China are for sale alongside traditional produce like tomatoes, cabbage and carrots. This is a great place to try something new, get inspired and eat something delicious. 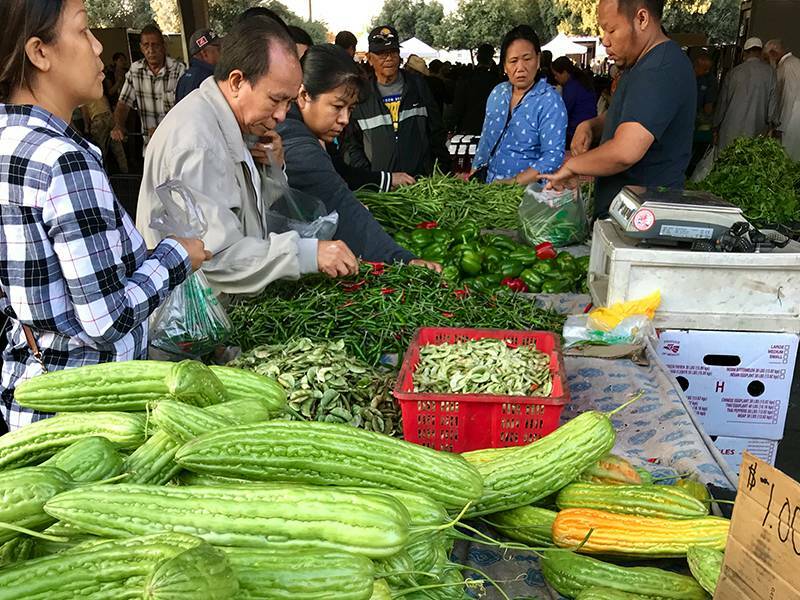 Experience a feast for the senses with a stop at the a San Joaquin Certified Farmers Market, held every Thursday, May through November from 8am to 1pm (behind Weberstown Mall). The market features a variety of fresh produce and fresh baked goodsfrom San Joaquin Valley farms at great prices. In addition to fresh fruits and vegetables, there are vendors selling fresh-cut flowers, baked goods and other artisanal products. BONUS: Residents can enjoy produce year-round with this market, held every Sunday from 8am to 1pm! Request a San Joaquin County Map and Farm Guide to be sent to you or view the online Farm Guide now. You can text us 7 days a week, 8am to 8pm at (877) 778-6258 and you'll receive a live response from a member of our team. Follow us on Facebook, Twitter, and Instagram - and be sure to use #VisitStockton during your visit!